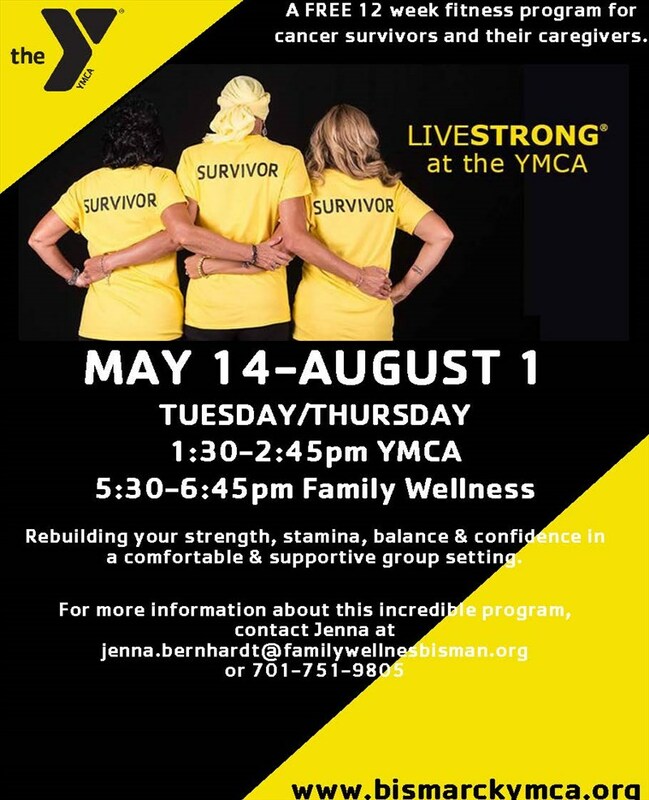 A specialty group fitness class for adults who are cancer survivors. This program gives individuals who are currently undergoing cancer treatments, or those who are recovering from a previous diagnosis, the opportunity to be active, socialize, and regain their strength in a safe, supportive environment. There is no fee for this program but registration is required. For more information contact Jenna Bernhardt at 701-751-9805 or jenna.bernhardt@familywellnessbisman.org.